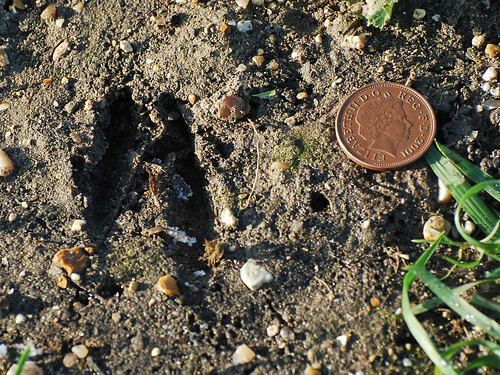 This entry was posted in Birds, Burwell Fen, Countryside walks, Deer, Fens, gamebirds, Mammals, Ornithology, UK wildlife, Wildlife locations and tagged agerhøne, Alectoris rufa, Asio flammeus, birds of prey, Burwell Fen, Cambridgeshire, Capreolus capreolus, deer, English partridge, gamebirds, grey partridge, mosehornugle, Muntiacus reevesi, muntjac deer, owls, Perdix perdix, rødhøne, Reach, red-legged partridge, roe deer, Saxicola torquatus, short eared owl, sortstrubet bynkefugl, stonechat, Tubney Fen, UK mammals. Bookmark the permalink. Thanks Colin, I guess it’s that time of year when numbers of SEO’s are increasing and they’re becoming more visible, I’ll be heading over to Burwell Fen again in the near future to look for them. Did you get some good shots of the one near Manea? I did get some good shots. 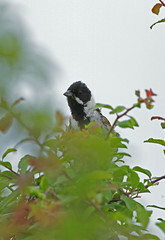 I also went to the hides a few days later and was talking to a bird watcher. He spotted the short-eared owl again in the long grass of the scarp that looks out across the River Delph over the Fen towards Ely. 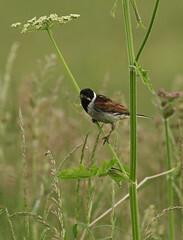 I managed to get some more shots, but it was just looking out over the flood plain and huddled in the grass. 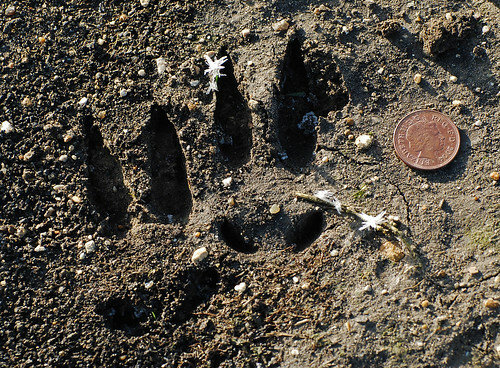 They tend to come out in the daylight and this was in the afternoon. Thanks for the link David, nice to see cranes on the Fen. What did you use to capture your video? 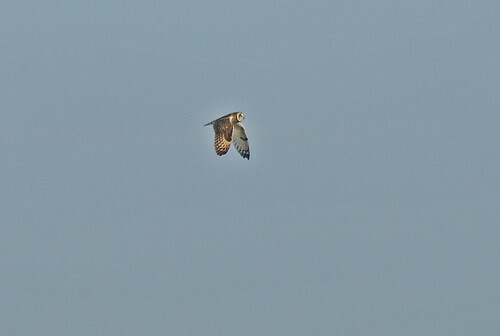 I don’t know when I’ll be out there next but I want to see the short eared owls before they head back. Are there any other sites you visit around Cambridge? 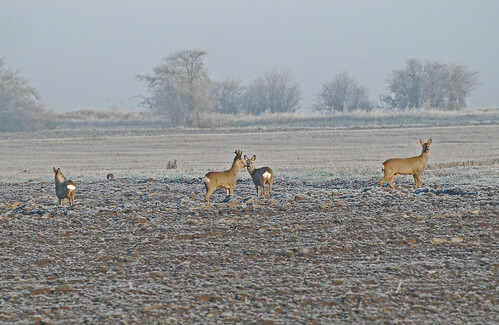 where is burwell fen ? gps coordinates please or road to park at and directions..i know where burwell is but wheres the fen ? Burwell Fen stretches north west from Burwell and Reach to Wicken Fen. Head to Reach from Swaffham Prior and snake through the village until you come to Little Fen Drove (search for Burwell Fen or Reach in Google Maps). Go along the drove past Tubney Fen on the right and when you reach the crossroads at the end turn right. Follow the track for a mile or so to the car park at the end just before the bridge over the Lode. Hello Dave, Tubney Fen is on Little Fen Drove. If you drive out the back of Reach and past the last of the houses on the right, the entrance to Tubney Fen is about half way between Reach and the crossroads at the end, on the right hand side. There’s a National Trust information board and room to park a couple of cars at the entrance. If you park by the entrance and go through the gate you can follow the path a hundred meteres or so to a hide overlooking the water. Good luck! Hello Dave, that’s the spot. The hide is a short walk from the sign and there have been avocet breeding there in recent years. 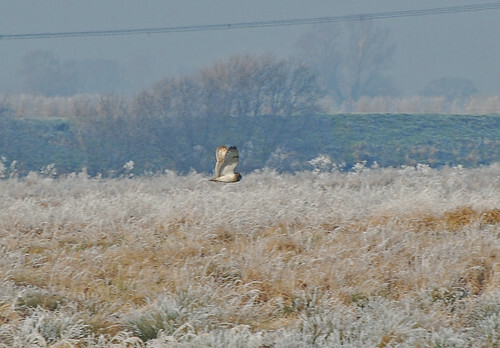 Burwell Fen itself is a good place for short eared owl too. 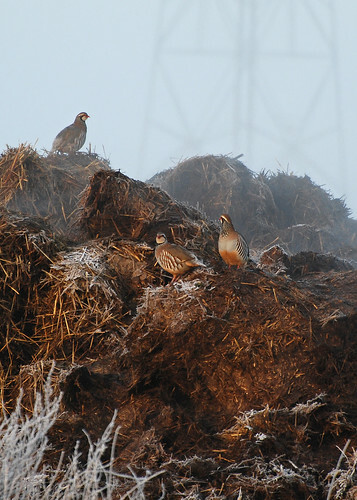 I was rather taken with the photo of the partridges on the dung heap…they’re beautiful birds. It appears that you had quite an outing…very satisfying. Thank you for sharing your experience and photos. I like the abstraction of the ice needles on the horse hairs. The longer one is especially interesting, with its tip seemingly separated from the rest of it. Thanks for your comment Steve. 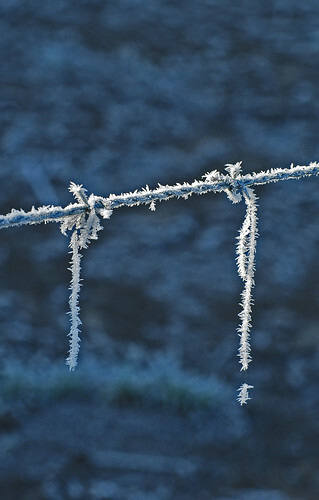 The ice needles were gorgeous in the sunlight, they were 4-5mm long and appeared to have formed on themselves. The gap in the long one enabled me to see what was really underneath. I was lucky with my timing, as you can see they were partially in the sun and after another few minutes they would have been completely bathed in sunlight and melted away. I was amazed to find a single horse hair as the scaffold for all those ice crystals. Did you see your local owls? They’re spectacular birds! I just saw you’re redstart pictures – very nice shots (and the redshank too, a particular favourite of mine). 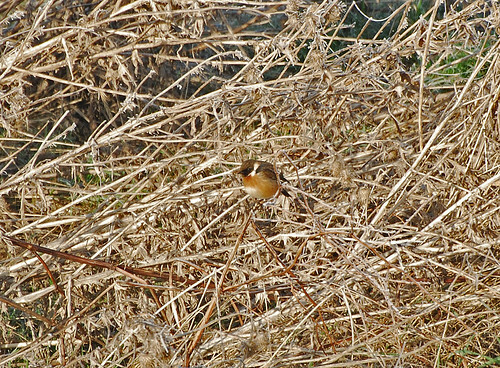 I’ve never seen a redstart, but I’d like to. Good luck with the owls next time. Hello Alice, they’re lovely aren’t they? 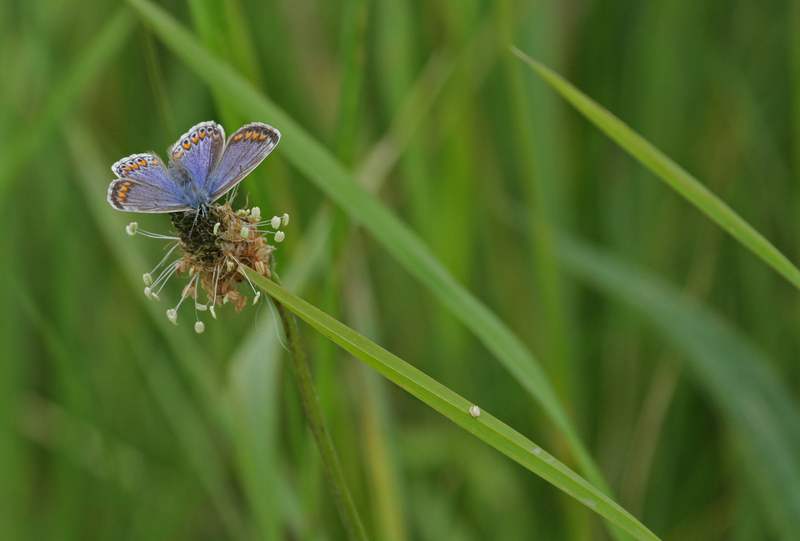 Did you see them in your field at Hylke? Maybe your musvåger frightened them away! We went up to Wicken Fen last on Sunday afternoon and saw a Barn Owl on the northern reaches of the National Trust land. It flew around, just keeping an eye out and perching on a series of posts. Thanks for the comment Rich. Good skills to see the barn owl in the afternoon. I haven’t posted on Wicken yet, which is a dreadful omission, but I’ll try to get a trip over there in late spring to see the harriers. It looks like you had a very productive outing. Some marvelous shots. And some interesting text to go along with them. 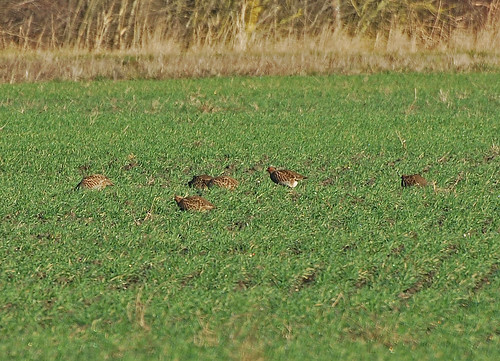 I especially like the Partridges in the dung pile. Nice job!